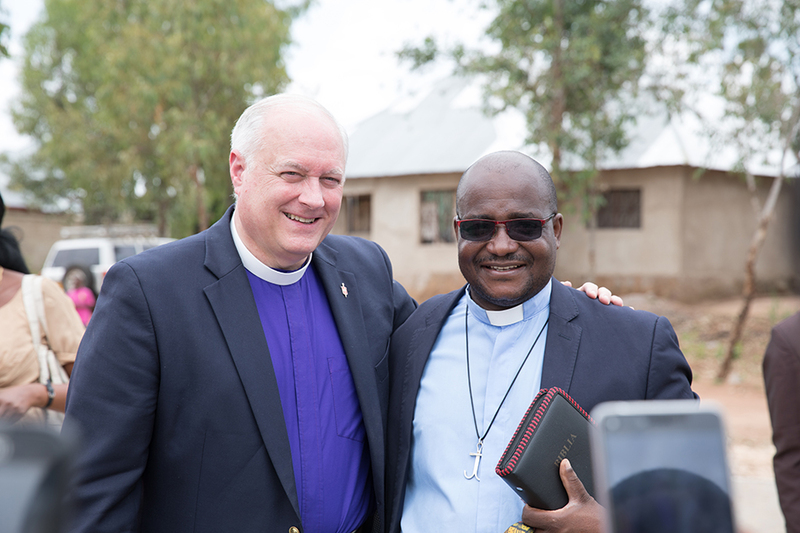 Prior to establishing Teaming With Tanzania, a delegation of ten clergy and laity from the Alabama-West Florida Conference visited Tanzania to see first hand the mission and ministry of The United Methodist Church in Tanzania. 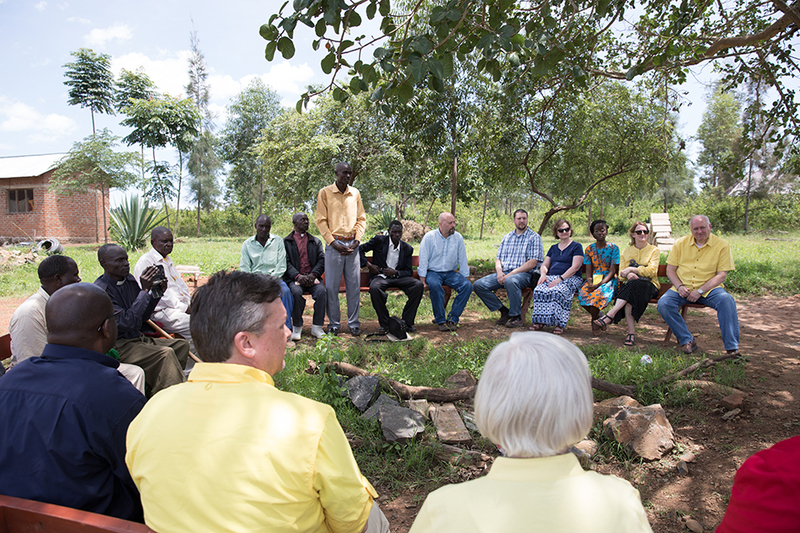 During this one week trip, the group visited numerous ministries and churches, meeting people, and learning how best to partner in ministry. 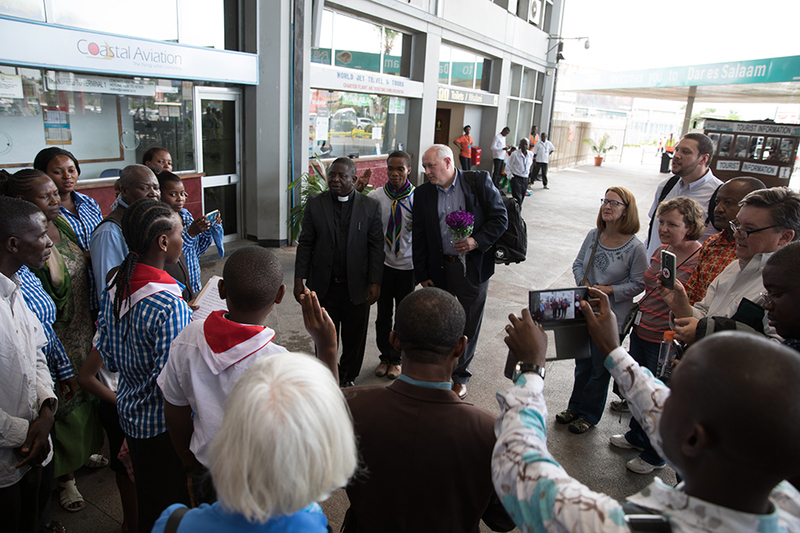 Upon arriving in Tanzania, the delegation from the Alabama-West Florida Conference was greeted by leaders and members of the First United Methodist Church of Dar Es Salaam. 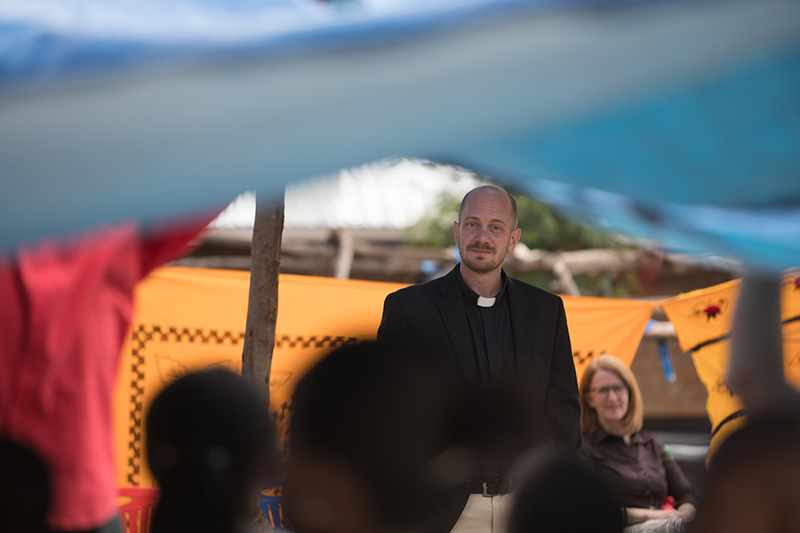 Bishop David Graves participation on this exploratory trip marked the first visit of a sitting bishop of the United Methodist Church from the United States to Tanzania. 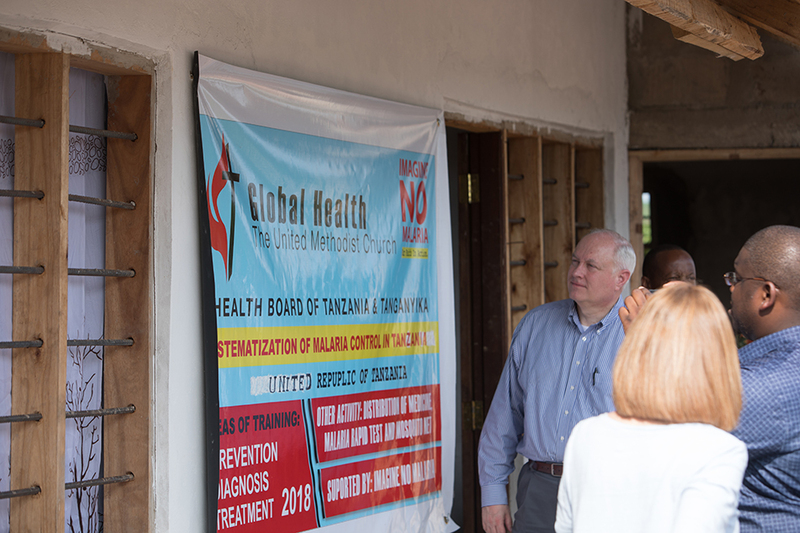 On the first day in Tanzania the group visited the conference office, guest house, clinic, and attached property of the United Methodist Church in Tanzania. 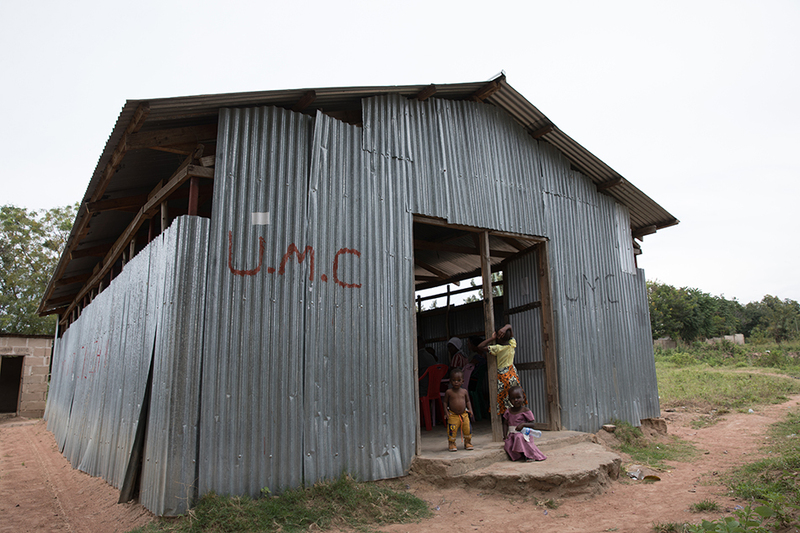 The Mvuti United Methodist Health Centre, located on the property near the conference office, helps provide much needed public healthcare, including malaria prevention, diagnosis, and treatment made possible by the Imagine No Malaria and Nothing But Nets campaigns of the United Methodist Church. The Alabama-West Florida Conference has been an active supporter of these campaigns. Visitors to the Mvuti United Methodist Health Centre posing with mosquito nets. 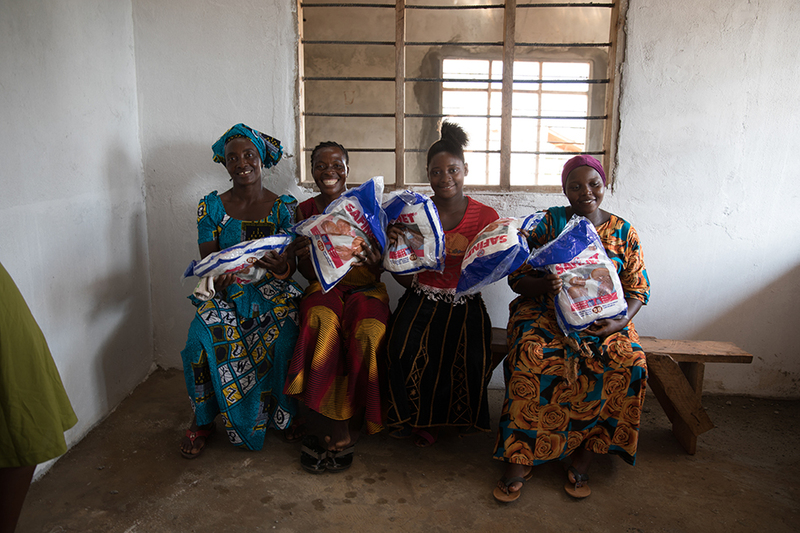 Mosquito nets are an important resource to help combat the spread of malaria in Tanzania. 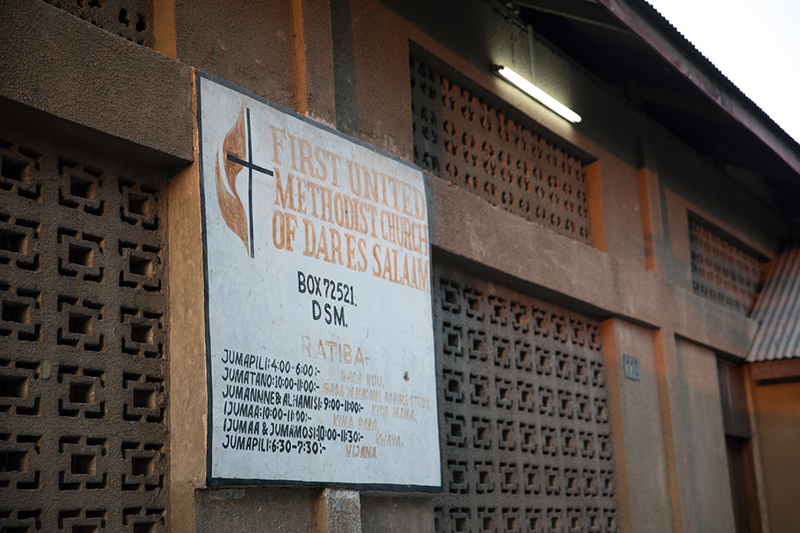 The group also visited the sanctuary, school, and sewing ministry of the First United Methodist Church of Dar es Salaam. On the second day of the exploratory trip, the group traveled from Dar es Salaam to the city of Mwanza where they visited Wesley College. Wesley College is a United Methodist related institution that offers programs in theology and adult education. 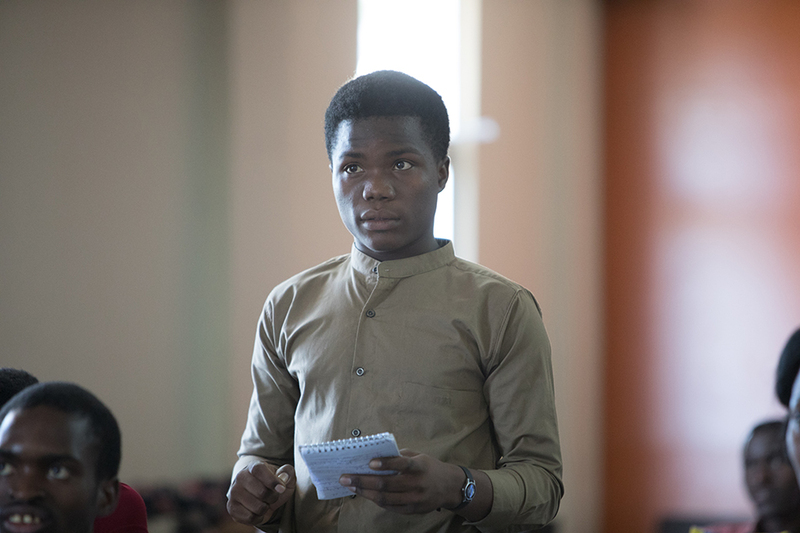 During the visit to Wesley College, a worship service was held which included singing, scripture reading, and a sermon by the Rev. Richard Williams. Following the service the students of Wesley College participated in a question and answer time with Bishop David Graves and the other members of the delegation. The students asked a wide range of questions during the question and answer session at Wesley College. During the question and answer session, Bishop Graves encouraged the participation of women in the theology program at Wesley College. 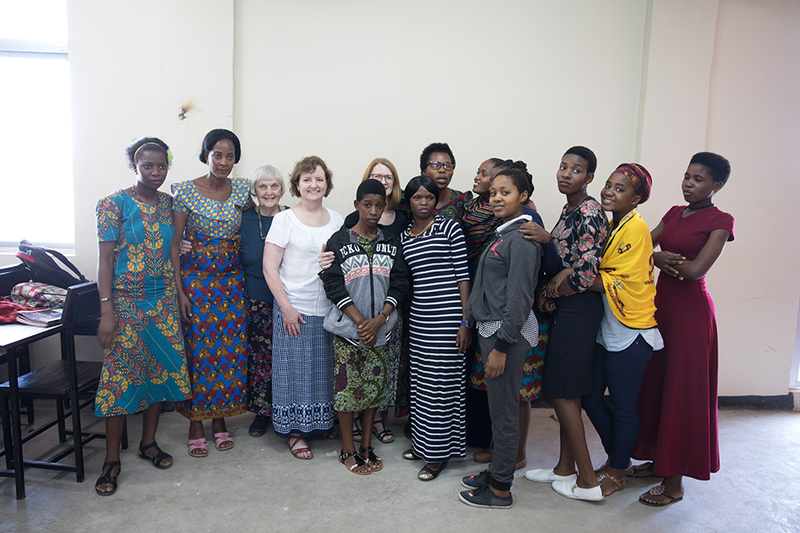 The female students of Wesley College pose with some of the women lay and clergy members of the delegation during their visit at Wesley College. Following their visit to Wesley College, the group traveled 4 hours to the town of Tarime, located near the border with Kenya. This beautiful, but bumpy ride, took the group alongside the Serengeti National Park in Tanzania. 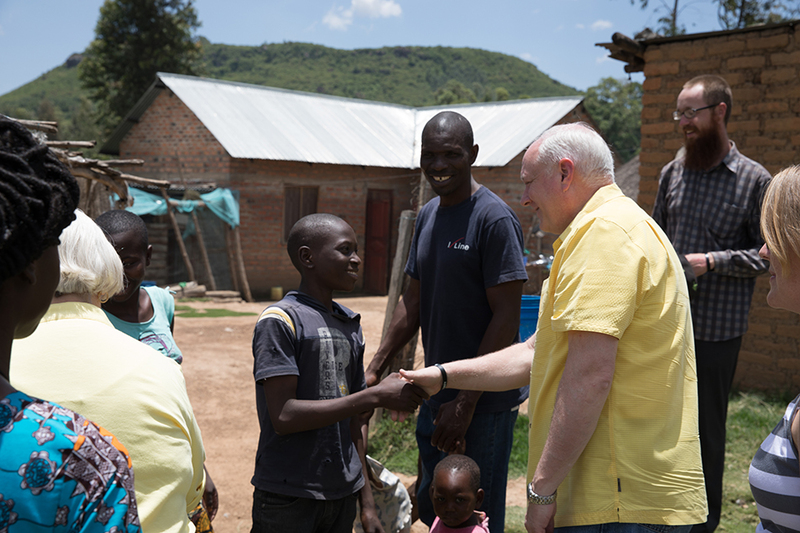 On the third day, the group visited “Our Father’s House” a ministry that provides emergency medical care, food, education, job training, and employment opportunities for children living on the street in Tarime. 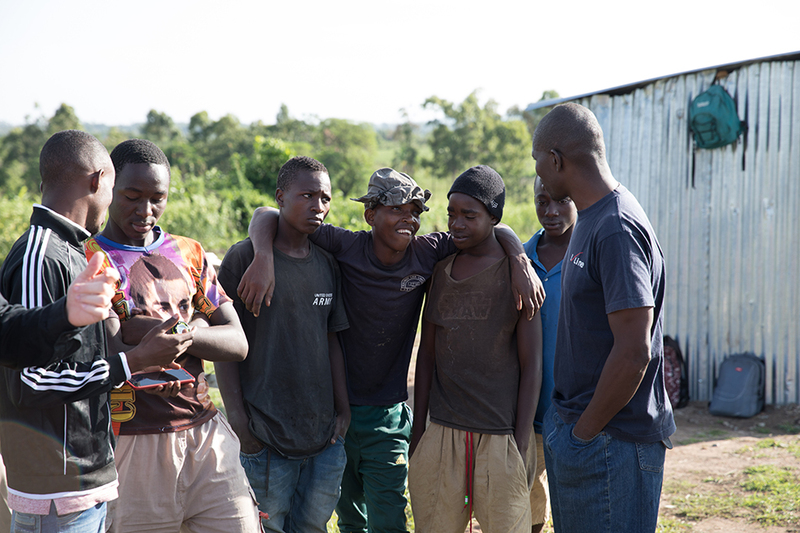 Recently a brick making project for ages 15 - 19 was established to provide job skills and a place of employment for youth in need in the Tarime area. 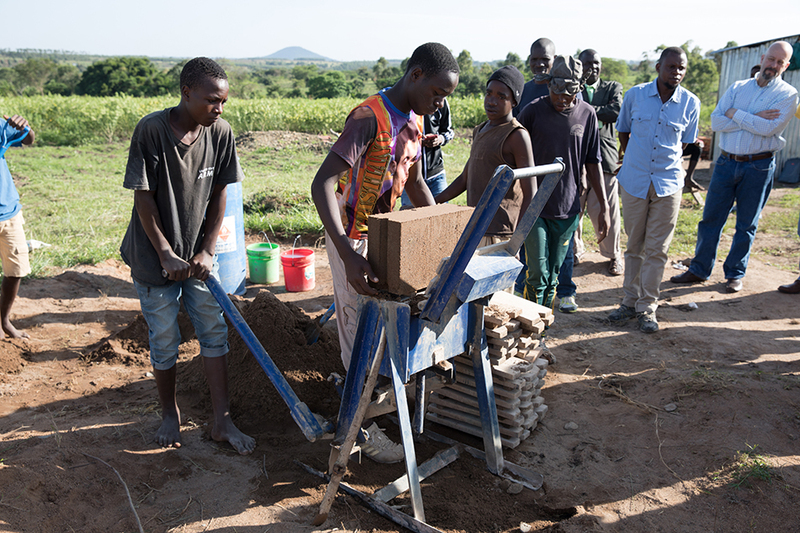 The youth produce about 200 bricks a day which are sold to the community for income. The brick making machine was purchased with funds from Aldersgate United Methodist Church in Montgomery, Alabama. 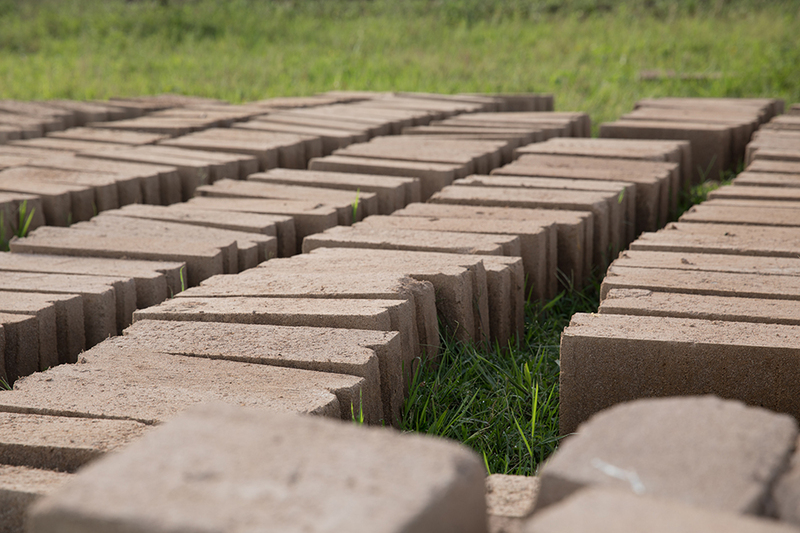 Once the bricks are made using the brick making machine, they are placed in the sun to dry and harden. Since 2015, Our Father’s House has reunited over 30 children with their families or placed them in caring foster homes. 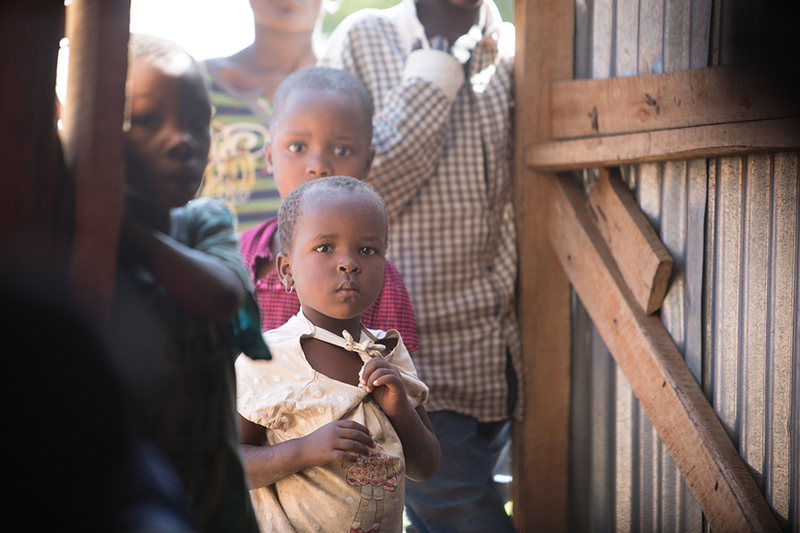 Children from the streets have started coming to church, sing in the choir, have joined the youth group or are participating in the brick making project in Tarime. 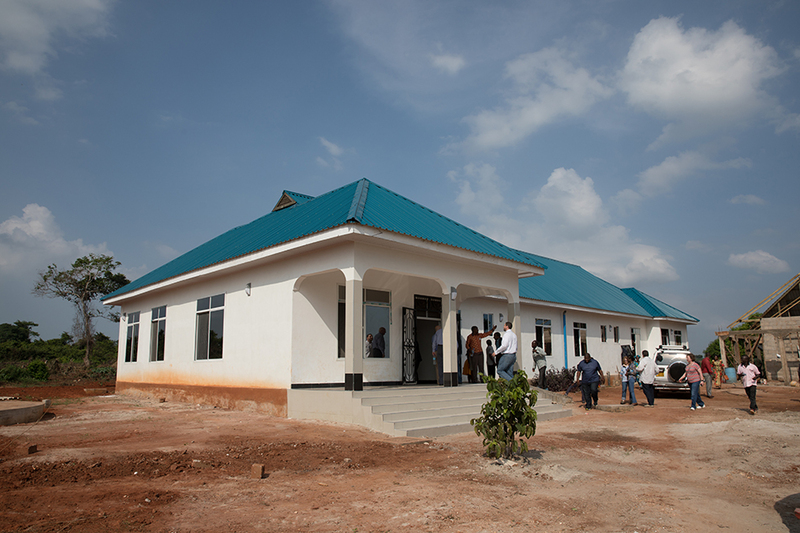 Our Father’s House was founded out of Tarime United Methodist Church, an active United Methodist congregation in the town of Tarime, Tanzania. 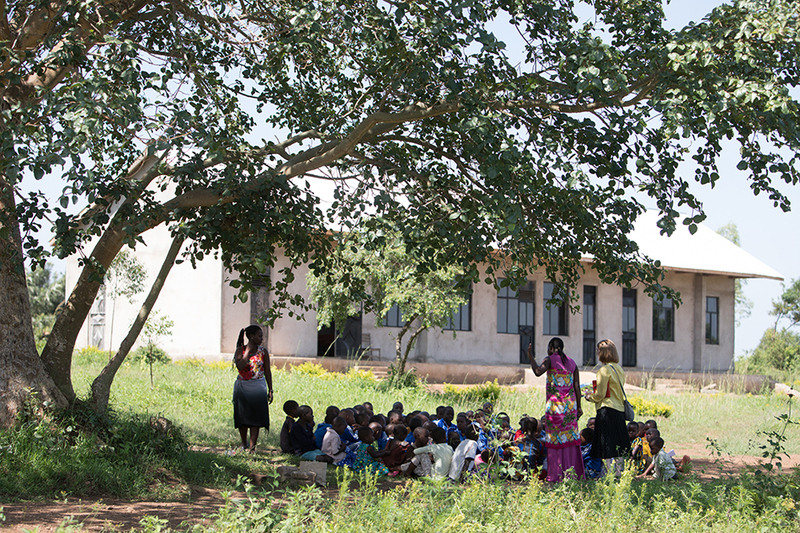 Curious children from the surrounding community gather outside the church building of Tarime UMC, listening and watching what is happening inside. 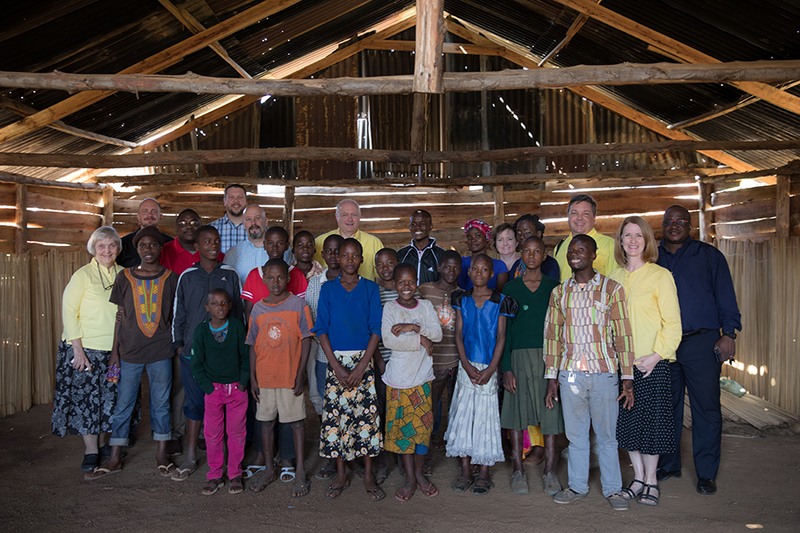 After learning more about Tarime United Methodist Church and their ministries, the team takes a group picture with some of the congregation in attendance. Children from Emmanuel Center sing a joyous song of welcome as guests arrive. At the Emmanuel Center for Women and Children, women and children are exposed to the understanding that they are people of sacred worth. 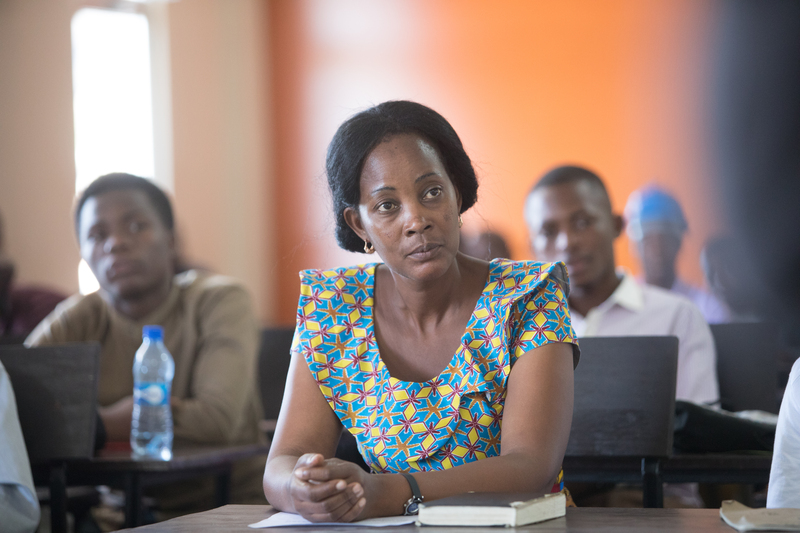 This ministry helps educate, economically empower, train in leadership, and build self-confidence through biblical teachings, in order to help women and children have the ability to change their own environments. Lisa Bond, Children’s Minister at First United Methodist Church in Pensacola, Florida brings greetings to the children of Emmanuel Center from the children of First Church in Pensacola. 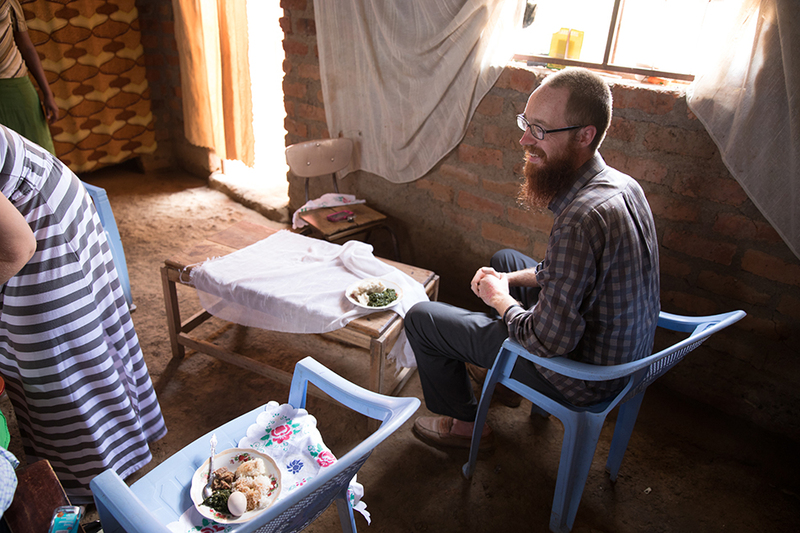 Bishop Graves and others had the honor of visiting the home of Mwita and Mama Robina where they shared in a delicious traditional Tanzanian meal. Davis Rhodes, a lay person in the Alabama-West Florida Conference, is currently serving as a missionary volunteer in Tanzania, working with missionaries Eric and Liz Soard, and assisting with Our Father’s House and other ministries. 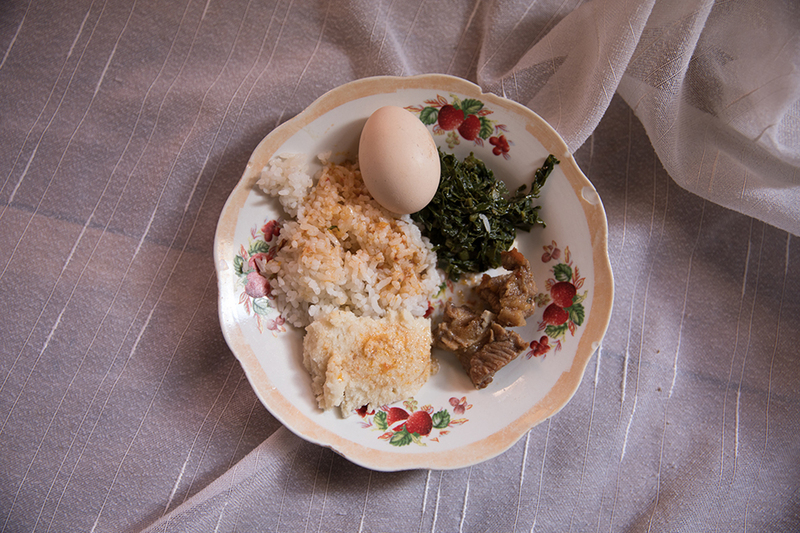 Ugali, a type of maize porridge, is a traditional food commonly eaten at meals in Tanzania and other parts of east and central Africa. 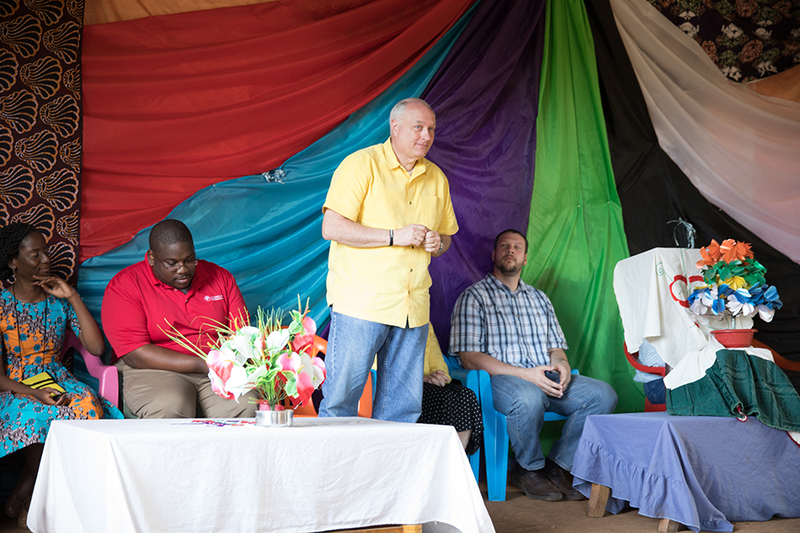 During the trip the group had the opportunity to meet with many district leaders, pastors, and lay persons to hear more about the joys and challenges of ministry in Tanzania. 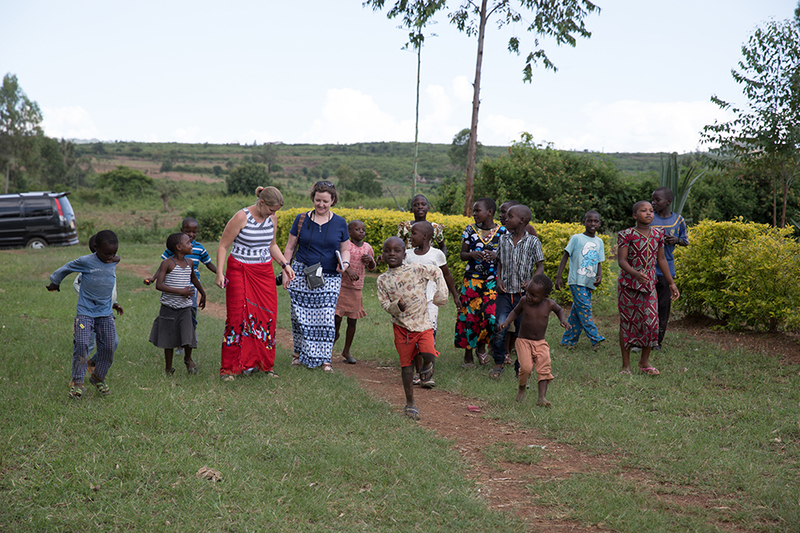 Elizabeth Soard, missionary to Tanzania, and Susan Hunt, Director of Mission and Advocacy for the Alabama-West Florida Conference, are joined by a group of children as they walk toward the gathering of United Methodist Women in Tarime. 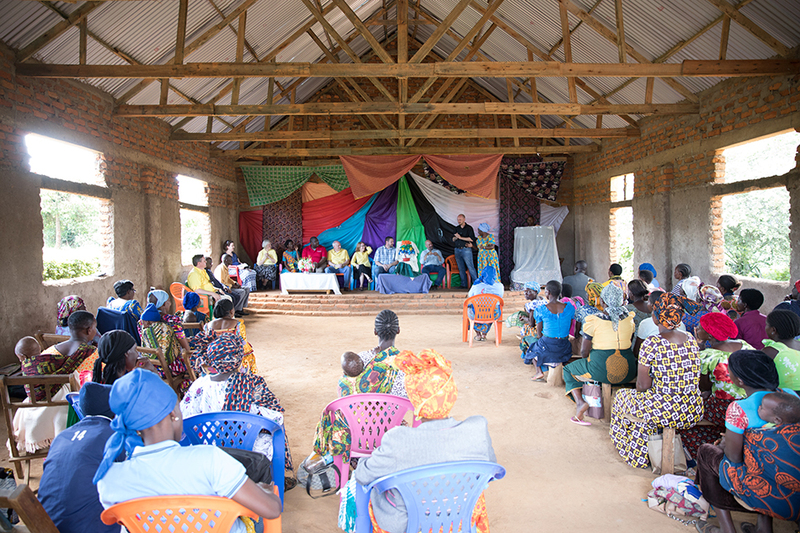 On Saturday, the group had the opportunity to visit a conference gathering of the United Methodist Women in Tanzania. Some women traveled over 16 hours to attend this weekend gathering. 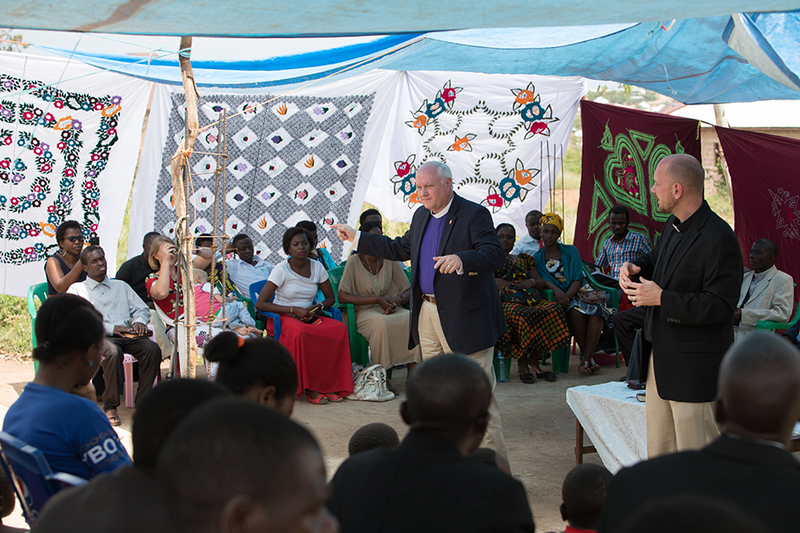 Bishop Graves brought greetings from the Alabama-West Florida Conference to the conference gathering of the United Methodist Women in Tanzania. 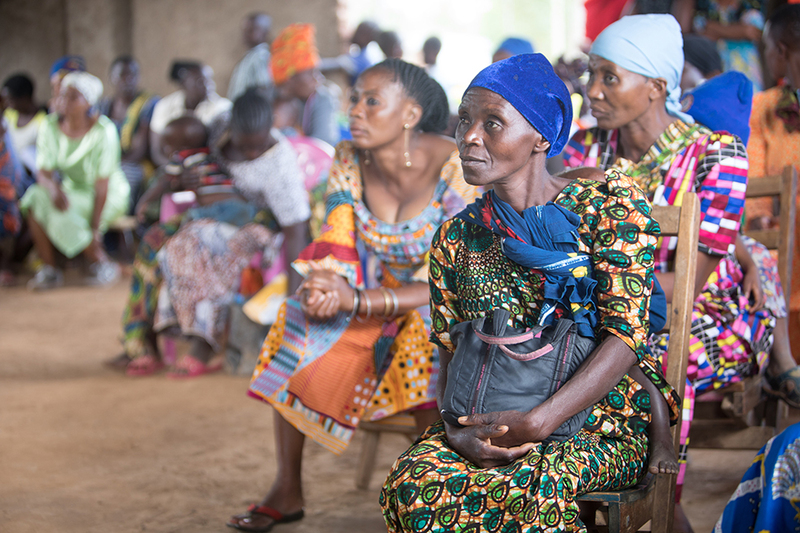 Attendees to the conference gathering of the United Methodist Women in Tanzania listen intently during the Saturday meeting. 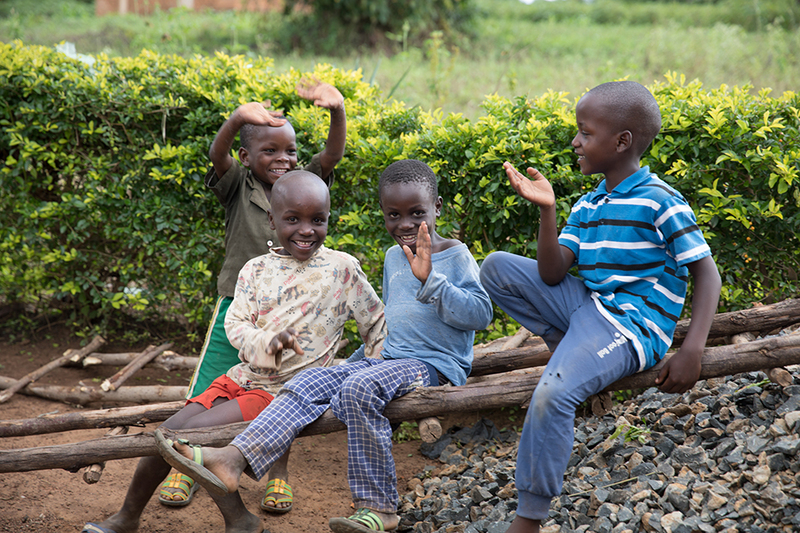 Children gathered outside the sanctuary, smile and wave as their picture is taken. 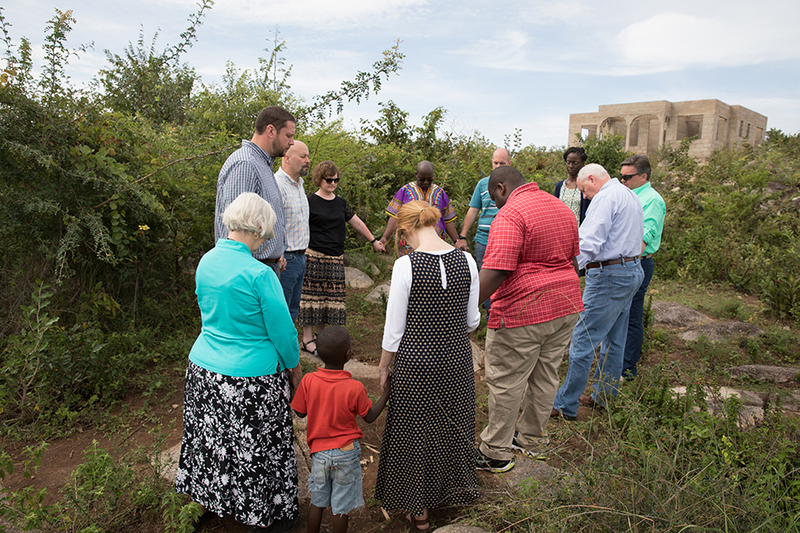 The group had the honor of participating in a worship service and cornerstone laying at Nyasaka UMC outside of Mwanza, Tanzania. Crosspoint UMC in Niceville, Florida helped provide the funds for the construction of this church building. 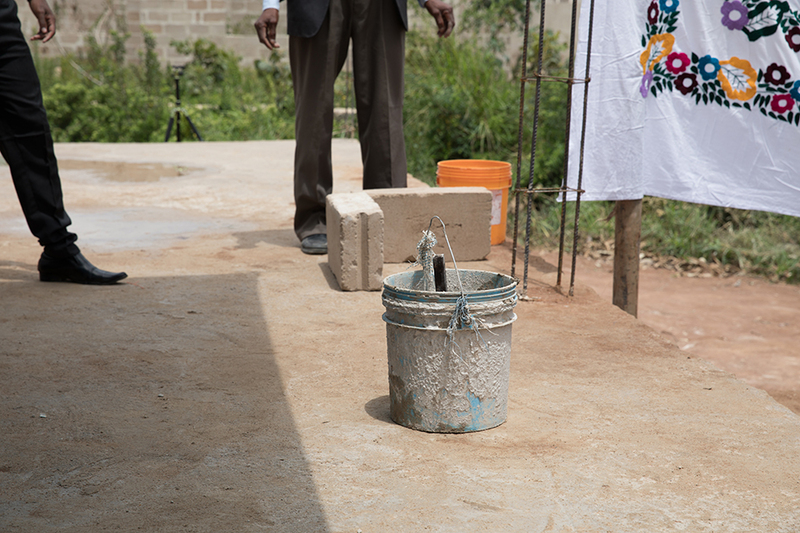 Bishop Graves and church leaders from Nyasaka UMC placed the cornerstone at this service which took place on Palm Sunday. Rev. Eric Soard, Sustainable Development Director and Missionary in Tanzania, along with his wife Liz, graciously cared for the team while in Tanzania. 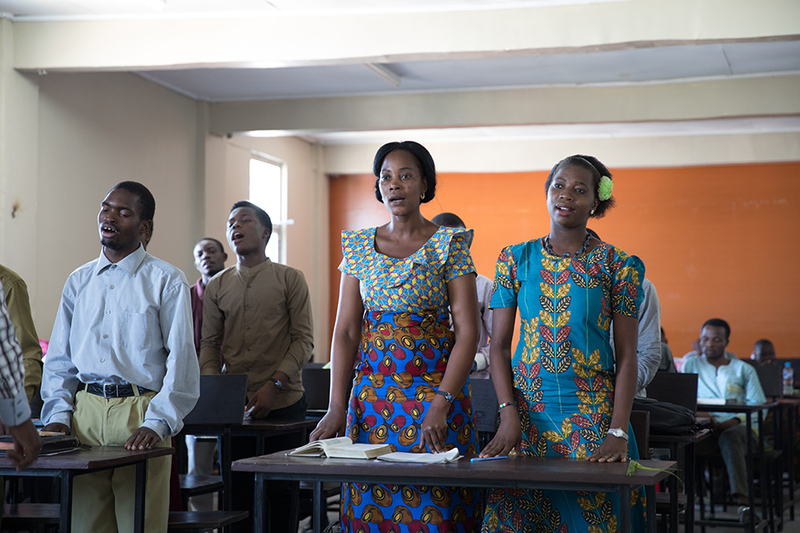 Eric and Liz live in Mwanza, Tanzania with their three kids. Bishop David Graves delivered the sermon at the worship service and cornerstone laying at Nyasaka UMC on Palm Sunday. Bishop Graves, Rev. 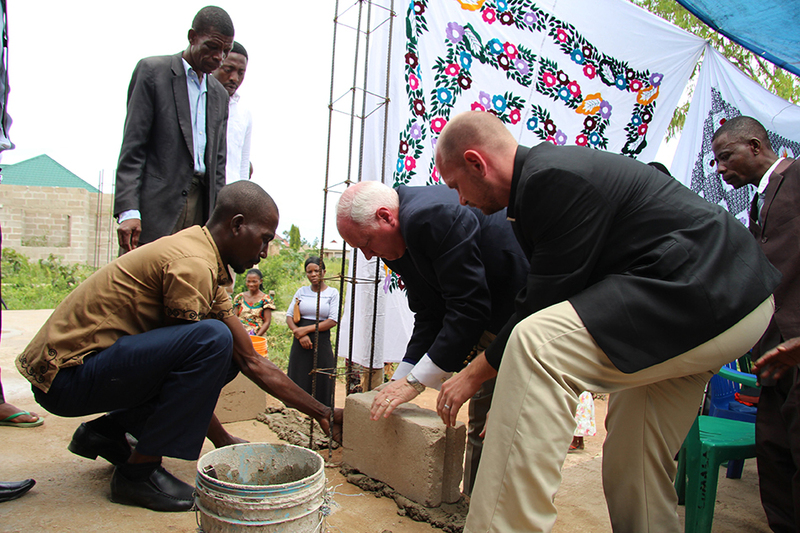 Eric Soard, and church leaders from Nyasaka UMC placed the cornerstone at this service which took place on Palm Sunday. Bishop David Graves takes a picture with Rev. Fernando Matsimbe, a missionary in the Mara region of Tanzania. Originally from Mozambique, he is responsible for new church planting and discipleship training in the Mara region. 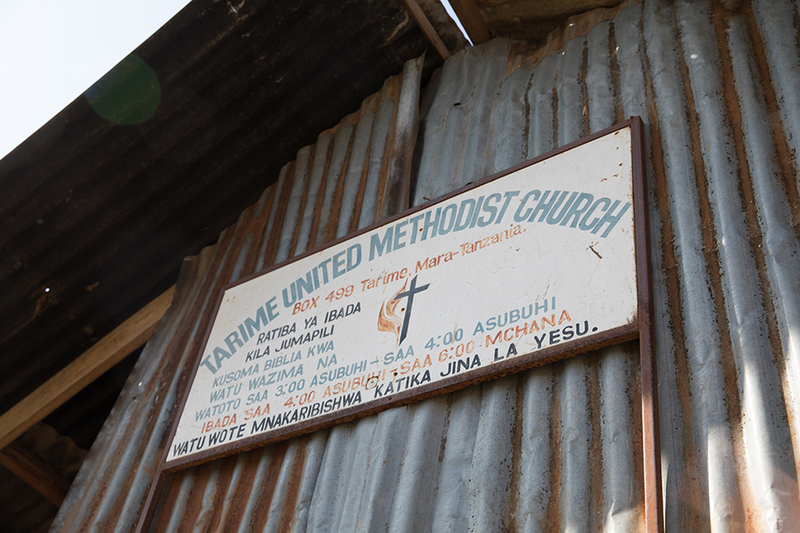 The United Methodist Church in Tanzania is rapidly growing. In addition to the five existing congregations, the district church leaders hope to establish 15 new churches in this region over the coming few years. However, out of the 5 current congregations, only one church has a permanent building. 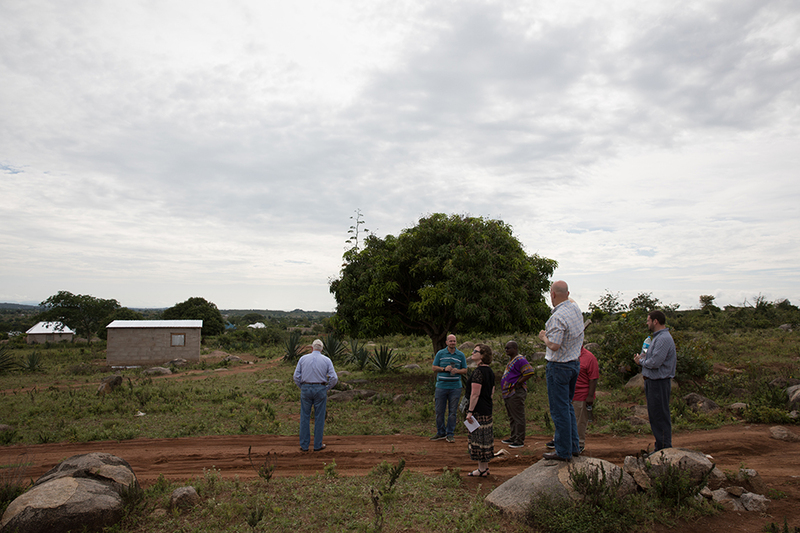 On the last full day of the trip to Tanzania, the group visited the future expansion site of Wesley College on the outskirts of Mwanza. 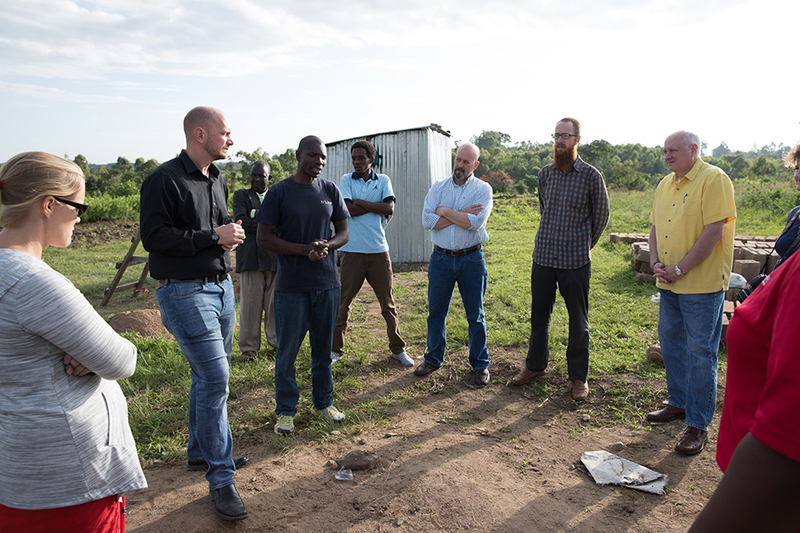 The longterm plan for this site is to build a college that will serve several thousand students and include multiple degree programs, training future leaders for the church and community in Tanzania. 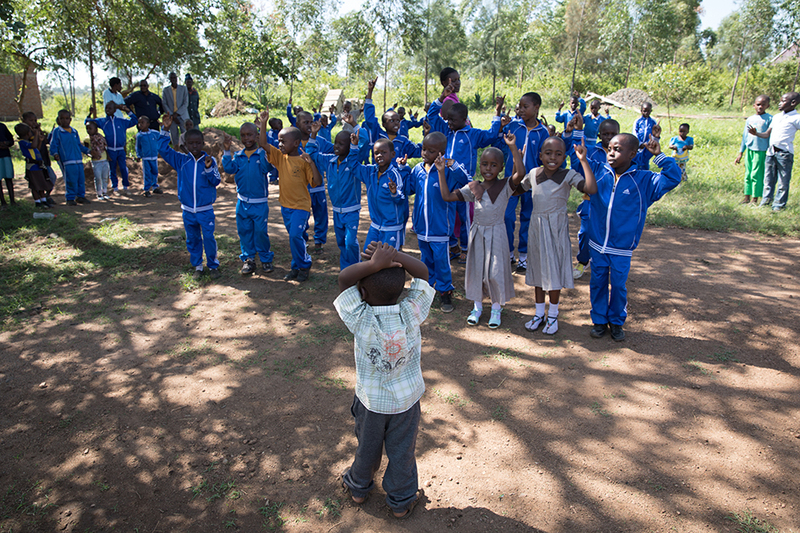 Before departing, the team gathered to pray on this site and were joined by a young Tanzanian child named Simon. 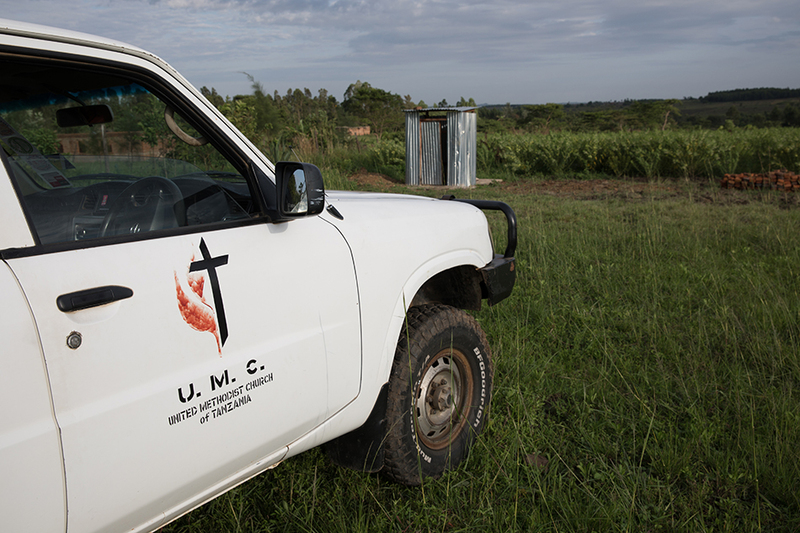 The team returned home and began preparing a partnership between the Alabama-West Florida Conference and the United Methodist Church in Tanzania.